Thousands of boiler breakdowns could be prevented each year if more water treatment measures were specified at the point of installation, says Martyn Bridges, Director of Technical Communication and Product Management at Worcester Bosch. Prevention is always better than cure and this is exactly what water treatment measures at the point of installation achieves. Many installers and homeowners fall into the trap of believing, especially when it is a new system, that water treatment is an added extra however. This ‘take it or leave it’ approach when it comes to system water treatment at the point of installation harms the performance and longevity of the boiler. Further, by the time service and maintenance is due – damage could already be present. 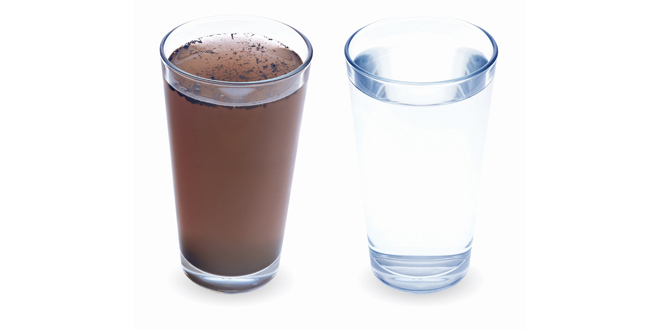 Just because a system is new doesn’t make it exempt from water quality issues. For instance, research conducted by an approved BuildCert CIAS testing laboratory, has shown that even a new system will show visible magnetite within one to two days of installation. Over time this can then block radiators, reducing the heat transfer from the system into the property, forcing the boiler to work harder. With this in mind, more education is required to raise awareness of the issues associated with dirty system water, and how adequate water treatment at the point of installation should be mandatory. Training is a very valuable tool when it comes to reaching installers and in the long run will only help to improve the results for their customers. At Worcester, we are dedicated to providing a robust training programme, which includes a dedicated water treatment course. We’d urge as many installers as possible to consider taking this course so that they can be confident in recommending the best water treatment solutions.